Includes: Bella finials, pole and adjustable brackets. 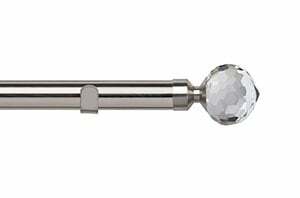 The Speedy 28mm Bella Eyelet Curtain Pole Chrome is an elegant and smart design. The no rings feature allows your eyelet curtains to drape flawlessly. This particular eyelet pole will suit any traditional or modern interior décor. 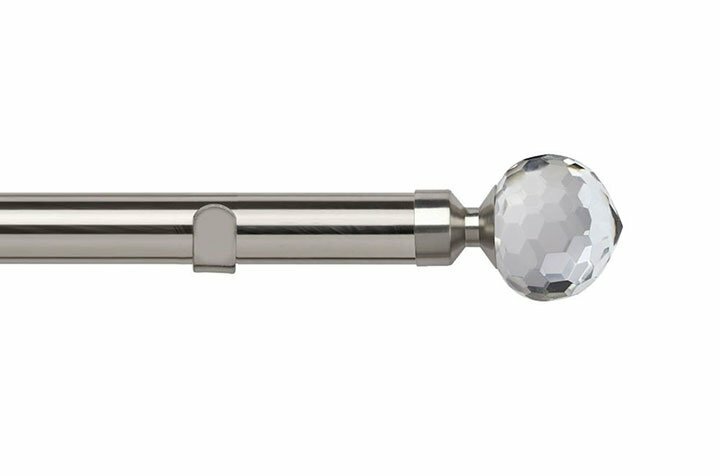 This pole set comes with a pair of Bella finials and adjustable brackets allowing you the flexibility to extend your pole away from the wall (once fixed) between the lengths of 90 to 130mm. The finals attach onto the pole with a small screw grub that is also provided. The recommended number of brackets you receive will change according to pole length. More information on this can be found within the specification section. 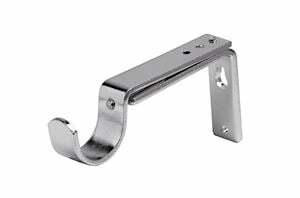 If you require more, the adjustable brackets can be found in the accessories section. Also available in antique brass and satin silver finish. Poles over the length of 200cm come in two pieces and are provided with joining splices to connect the poles in the middle. Please Note: Rings are NOT included with this eyelet pole.